A SPECIAL THANK YOU TO MY NEW FOUND COUSINS HELEN WRANSKY AND MICHAEL SCHULZ FOR PROVIDING MUCH OF THIS INFORMATION! 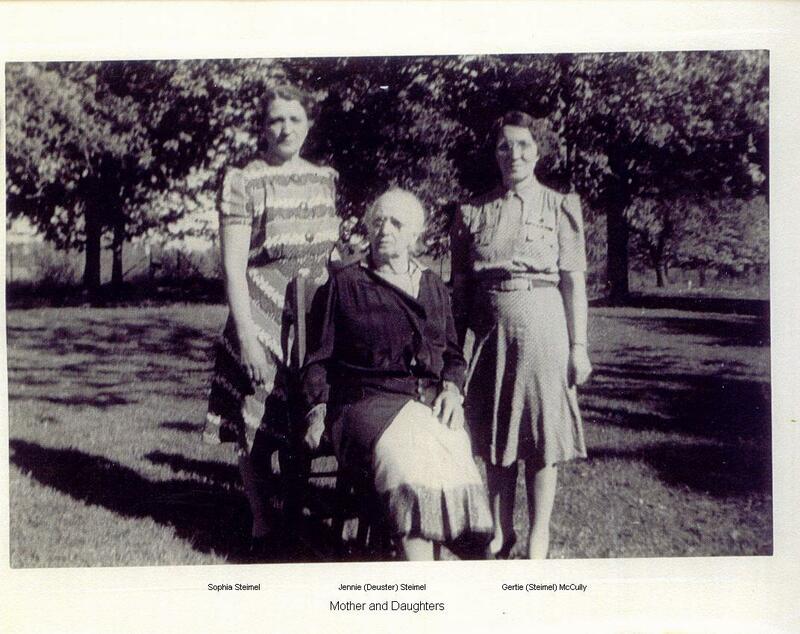 On my maternal grandmothers side of the family, comes the Steimel family. 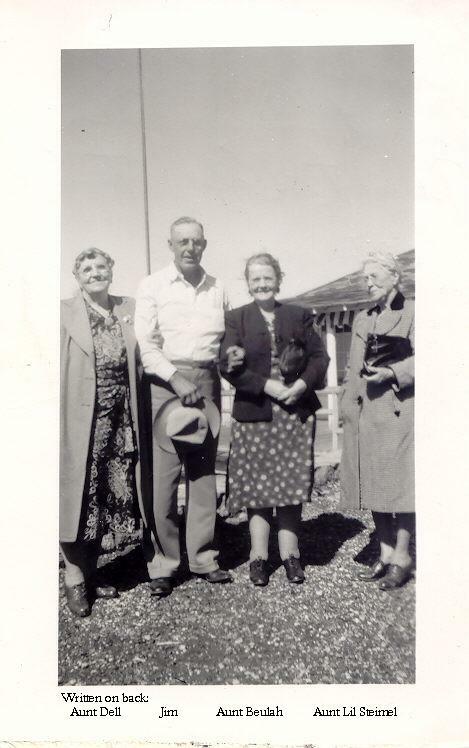 My maternal grandmother, Marguerite (McCully) Hayes, was the daughter of William J. McCully and Gertrude Renee STEIMEL. 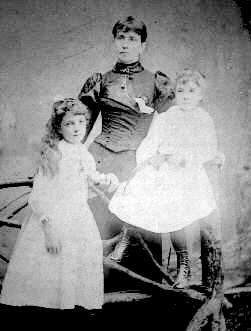 with daughters Gertrude and Sophia. 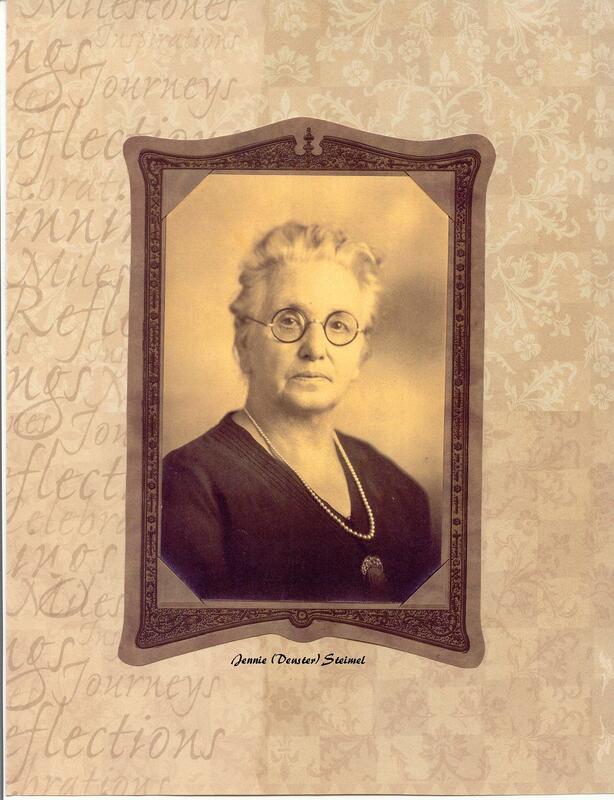 Gertrude Renee Steimel was the daughter of Nicholas Steimel Jr. and Jennifer Regina Deuster. 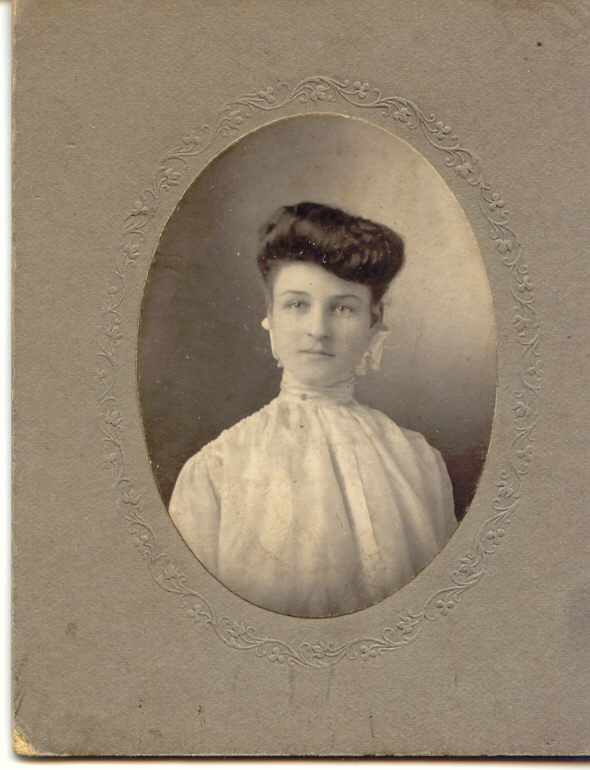 Gertrude was born in Suttons Bay, Leelanau County on October 5, 1885. She was the oldest of six children, however only 3 survived infancy. 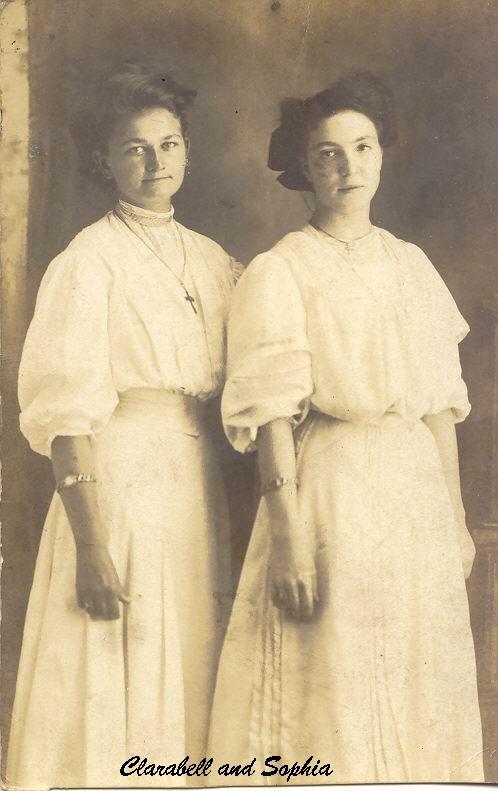 They were Emil and her sister Sophia. 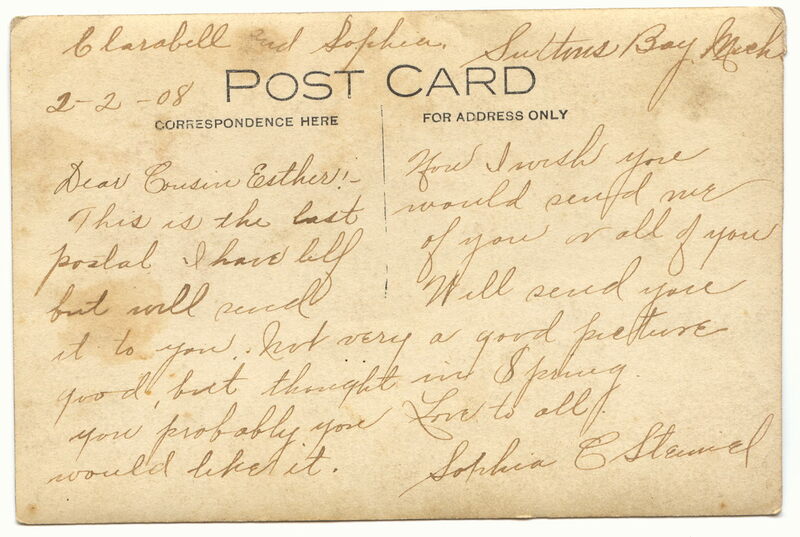 Sophia never married and lived with Gertrude her entire life. 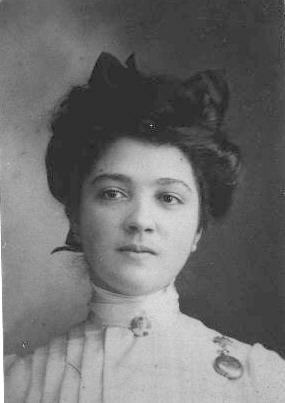 She worked as a bookkeeper at the Miller's Clothing Store, which was owned by her nephew John McCully. Sophia died May 17, 1973. 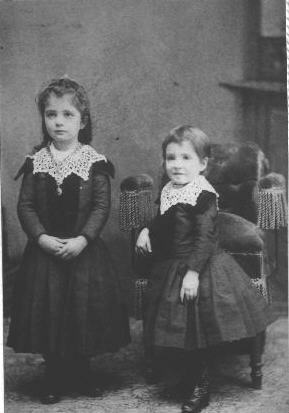 Sophia had a twin sister that died at birth. Emil Bernhard Steimel was also born in Suttons Bay on April 8, 1894. He was a veteran of World War I. While overseas, Emil was shot in the back. His wound caused him to use a cane for the remainder of his life. He was married to Rose Johannah Schaub who was born June 22, 1894 also in Suttons Bay, Michigan. 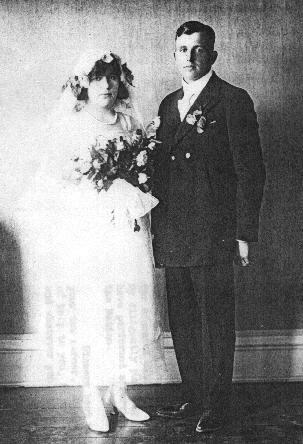 They were married on July 14, 1920. 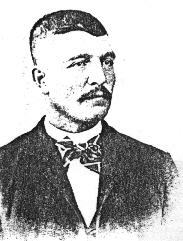 Emil worked as a meat cutter in Jackson, Michigan. He died on January 30, 1948 in Jackson, Michigan. His wife died May 22, 1973 also in Jackson. 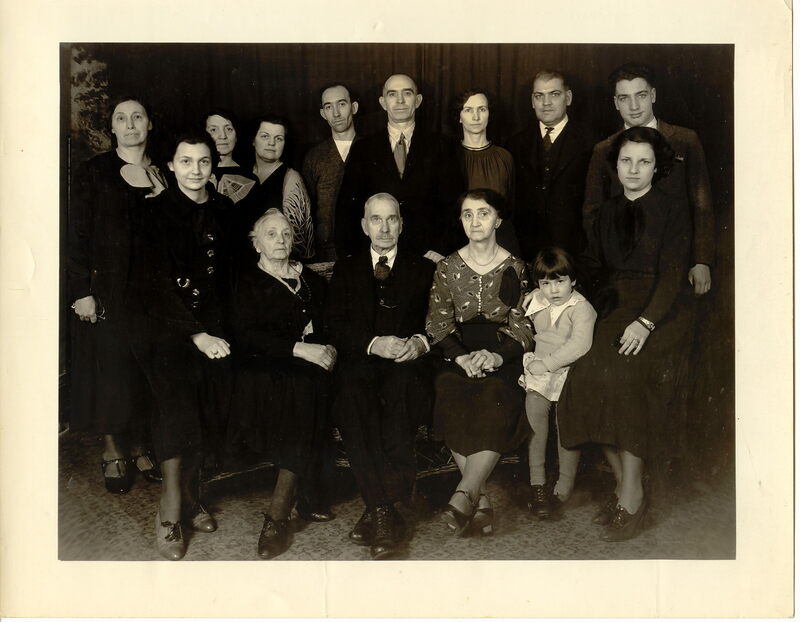 The majority of Steimel ancestry is traced back to Germany. 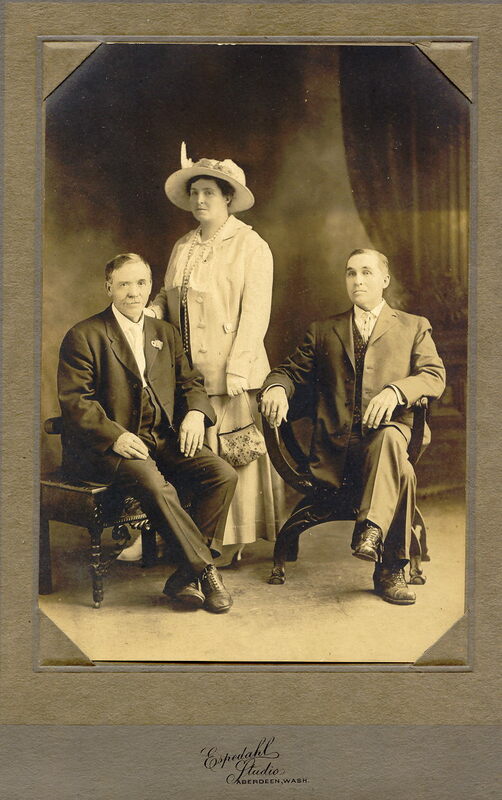 Our Steimel line is brought from Gertrude Renee (Steimel) McCully, to her father Nicholas Steimel Jr., to his father Nicholas Steimel Sr. His mother was Maria (Feist) Steimel. She was born on July 26, 1799 in Kappelrodeck, Baden, Germany. She was married to Johann Georg Steimel on June 18, 1823 in Kappelrodeck. Johann Georg stayed in Germany and died on August 24, 1879. 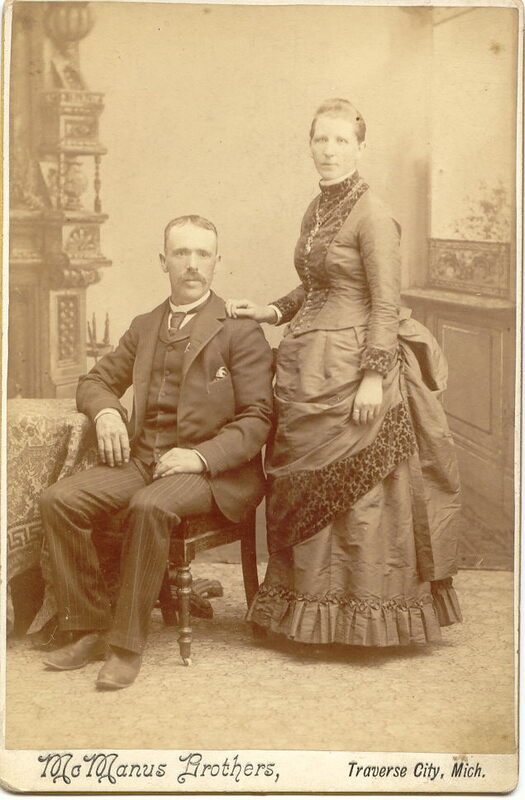 Maria (Feist) Steimel left Germany and arrived in Hamilton, Ontario, Canada in 1854 with her children. 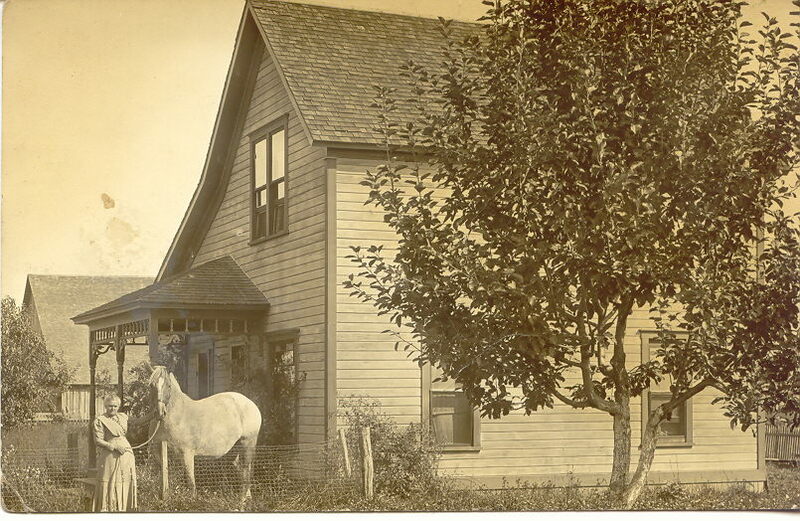 They stayed in Hamilton for about 10 years before moving to Suttons Bay, which is in Leelanau County, Michigan. 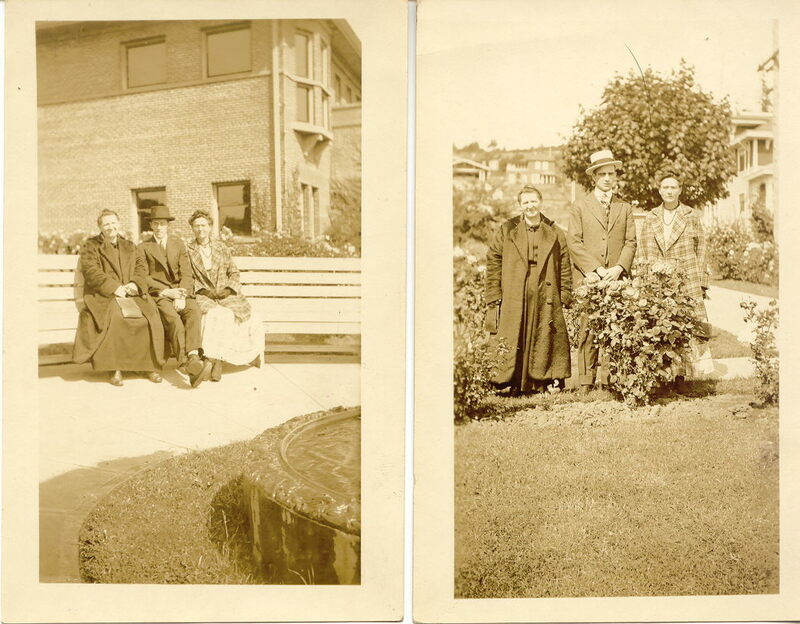 Johann and Maria Steimel's children were (1)Franziska, (2)Josef, (3)Nicholas Sr., (4)Bernhard, and (5)Johann Evang. 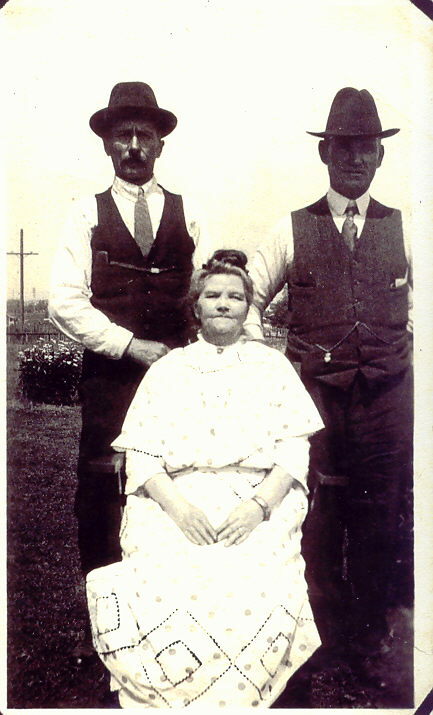 The Steimel family in Suttons Bay, were considered one of the founding families. The town was originally called Suttonsburg, and later changed to Suttons Bay. The family owned a hotel called the "Bay House", later changed to the "Steimel House". 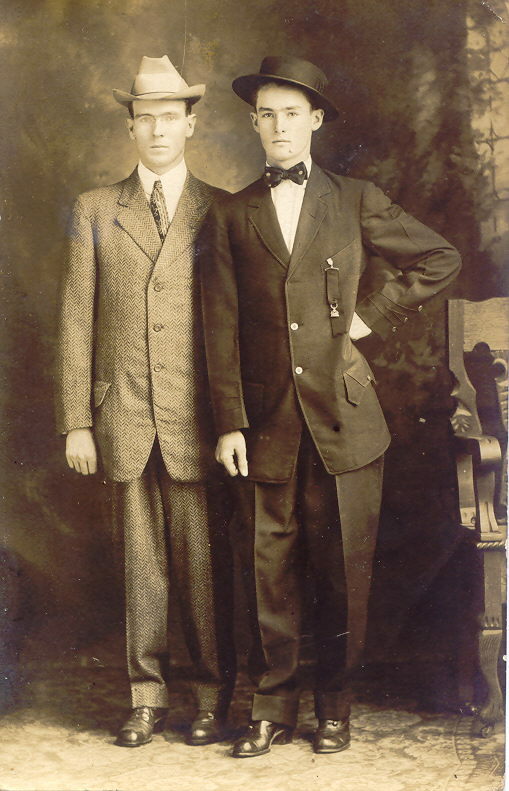 Members of the Steimel family owned a meat market, worked in the school system, and also held government positions such as Village Marshal (Charles E. Steimel), and Village Treasurer (Oberlin Steimel). 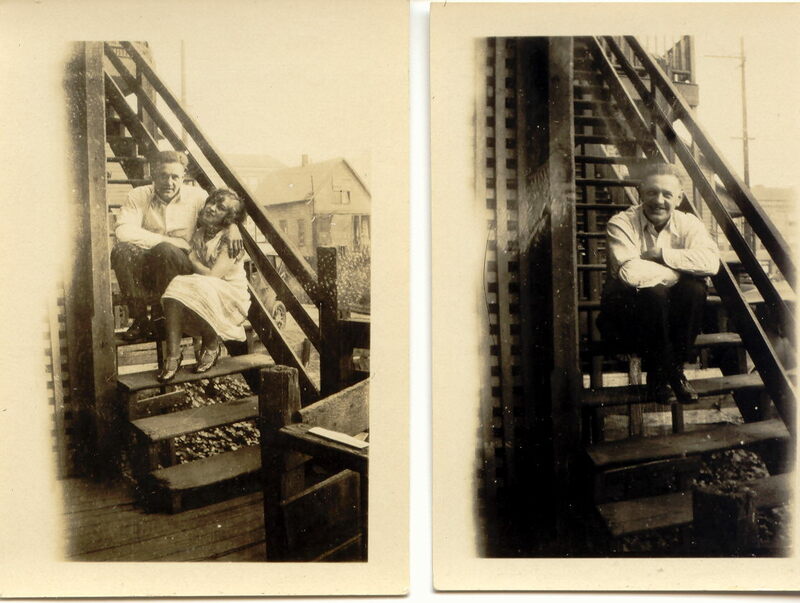 There were also family members that worked on the steamboats, carrying passengers from Suttons Bay to Wisconsin. The father of Johann Georg Steimel was Johann Steimel. He was married to Magdalena Straub on August 8, 1774, also from Kappelrodeck. They had four children (1)Joseph, (2)Johann Peter, (3)Johan George, and (4)Maria. Johann George's father was Jospeh Steimel, and Joseph Steimel's father was named Michael, who dates back to the late 1600's in Kappelrodeck. 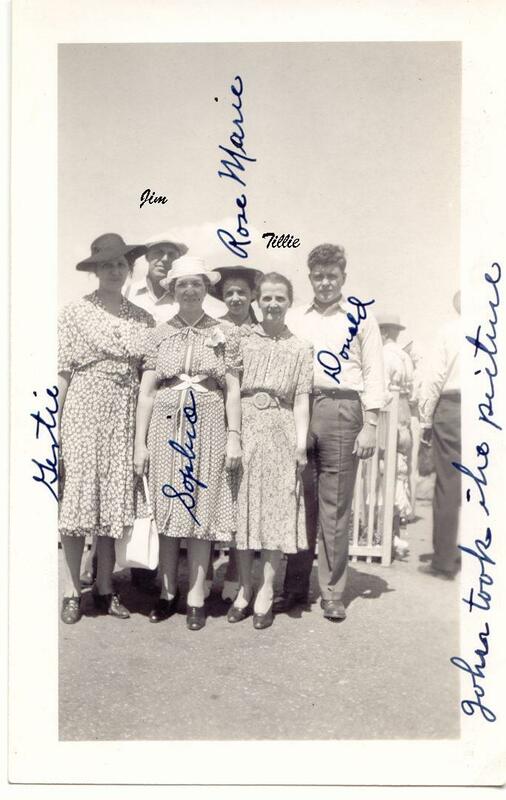 This picture had Clarabell and Sophia written on the back. On the right is Sophia Steimel. 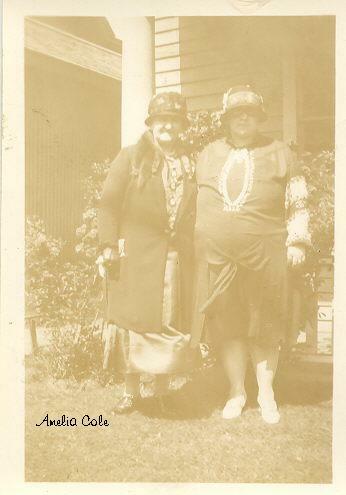 The person on the left is Clarabell Deuster, a cousin. 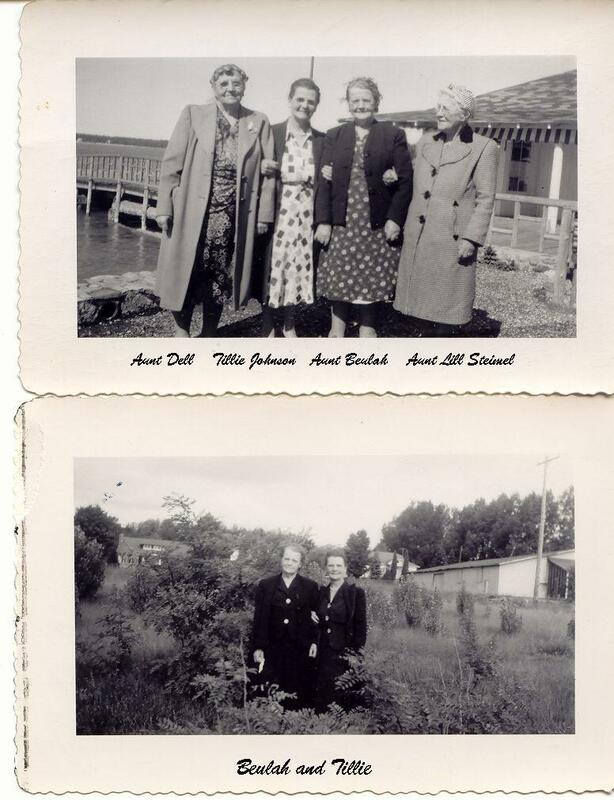 Photo of Gertrude (Steimel) McCully, Regina Jennifer (Deuster) Steimel and Sophia Steimel. 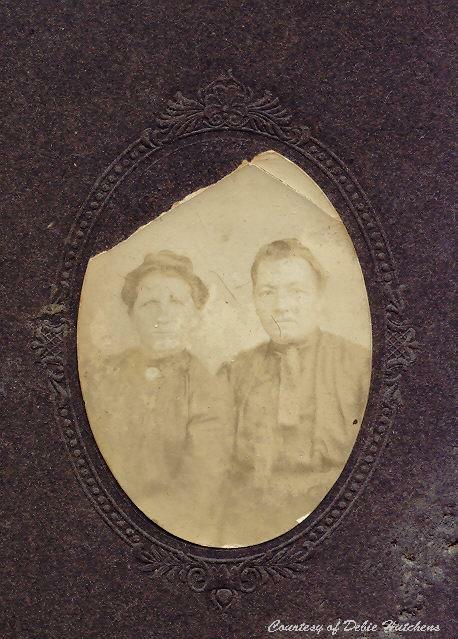 Wedding photo of Fremont and Amelia (Deuster) Cole taken January 9, 1887. 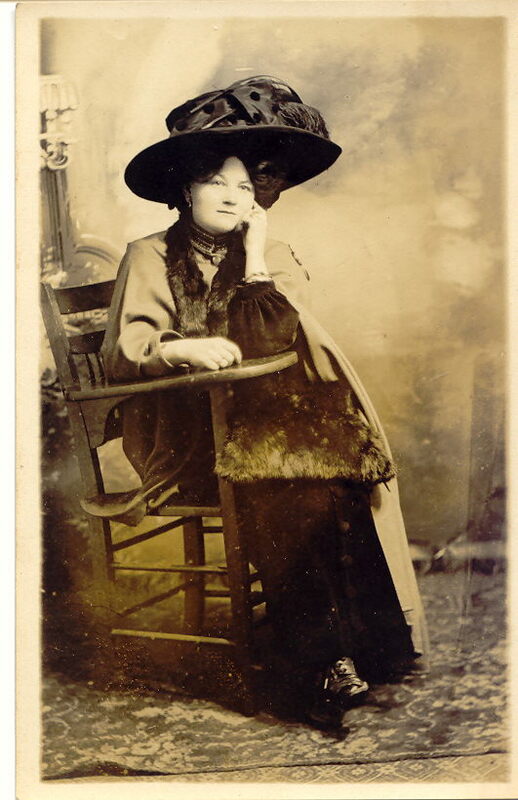 Amelia was a cousin to Gertrude (Steimel) McCully. 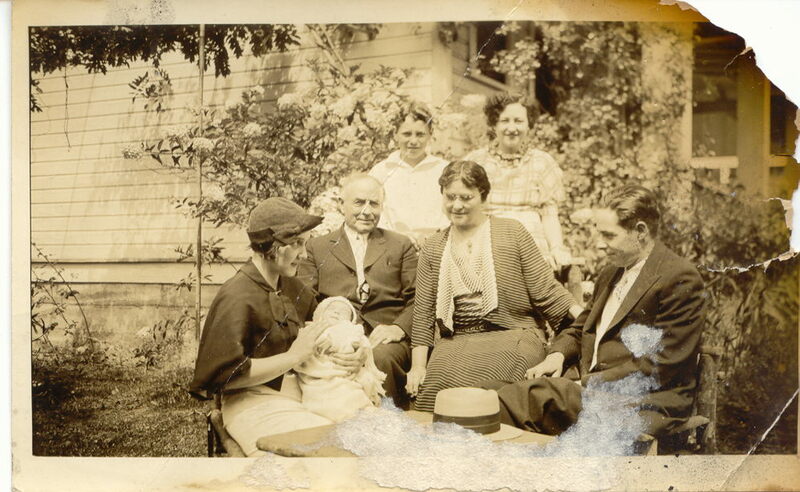 Group photo of Emil Steimel, Rose (Schaub) Steimel, their daughter Rita, Sophia Steimel, Gertrude (Steimel) McCully, Bill Hart, Nella, Mary (Deuster) Johnson, Ed Johnson and Jennie (Deuster) Steimel. These are external links and you will have to hit the 'back' button to return to my home page. Producers of tart cherry juice concentrate, this Suttons Bay Company is owned by a distant Steimel relative. 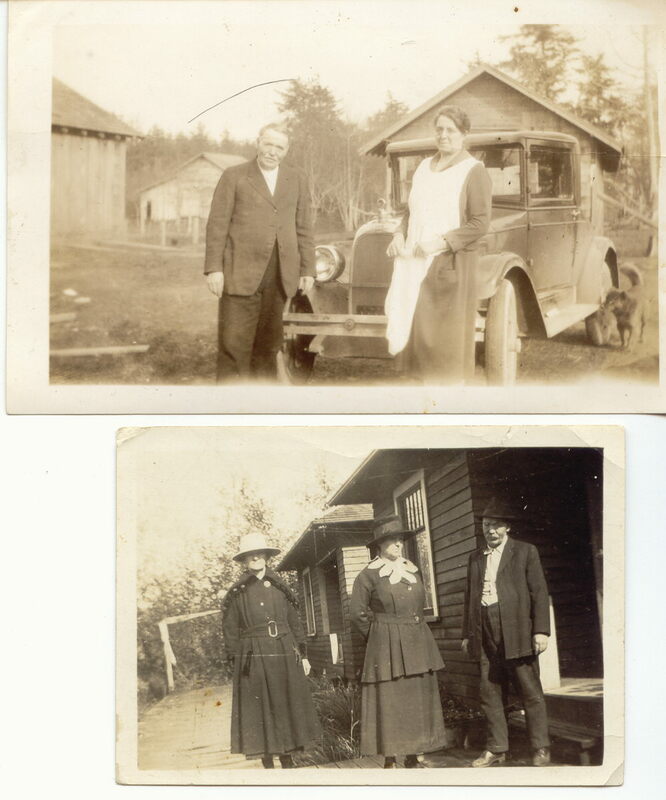 The following are photographs believed to be of Steimel or Deuster family members. Please look at each photo. If you can identify anything in the photograph please email me at ericalli@yahoo.com and let me know.